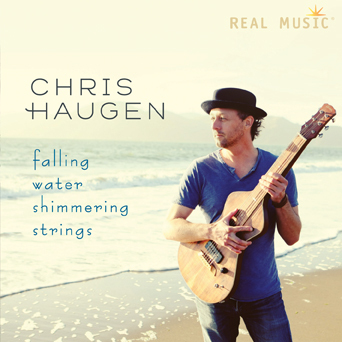 One of my favorites in a long time, Haugen’s Falling Water Shimmering Strings is a beautiful and unexpected surprise! Meditative, calming and vibrant, it offers an atmospheric background illuminated with delicate percussion and warm strings from both East and West. The flavor of India peppers Haugen's masterful acoustic instrumentation, including guitar, lap steel and banjo. The artist’s love for the ocean, surfing, yoga and meditative pursuits especially comes through and carries us along on soft waves of sound.